A Conservative election candidate who tweeted that he was “sweating like a Jew in an Attic” has been suspended by the party. 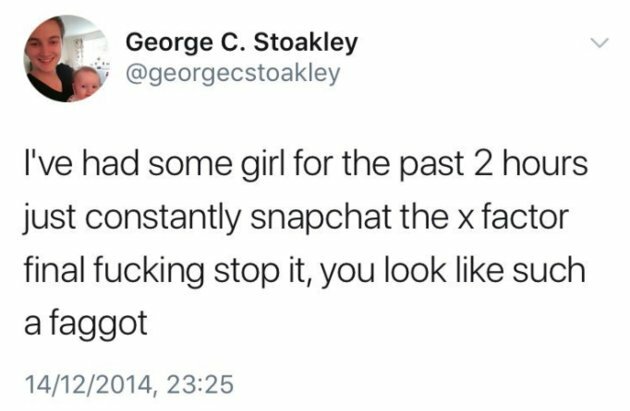 George Stoakley, who was standing for a council seat in Fen Ditton & Fulbourn in Cambridgeshire has been dropped, following “anti-Semitic and homophobic” tweets sent in 2013 and 2014. The Board of Deputies of British Jews condemned his “disgraceful” comments, while a party spokesperson told Jewish News: “George Stoakley has been suspended and an investigation is underway”. The Board said on Twitter this was “the right decision. The party must swiftly investigate how someone with these views was selected as a candidate”. Conservative Friends of Israel honorary president Lord Polak and Executive Director James Gurd said in a statement that his “historic tweets are reprehensible and unequivocally antisemitic”, while welcoming the party’s “swift action in suspending him”. 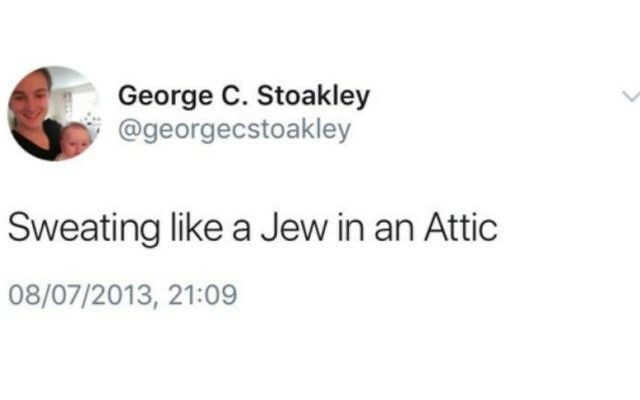 In addition to his “sweating like a Jew in an Attic” remark, a reference to Anne Frank, who hid from the Nazis in a secret attic, he also sent a series of homophobic tweets, and messages mocking those with aids. Stoakley has since made his Twitter account private but has reportedly deleted the tweets.